Belkin's Store and Charge Go is the ideal solution to store and charge multiple devices safely and conveniently in classrooms. One unit stores up to 10 devices and can be attached securely to a desktop or wall to save space. 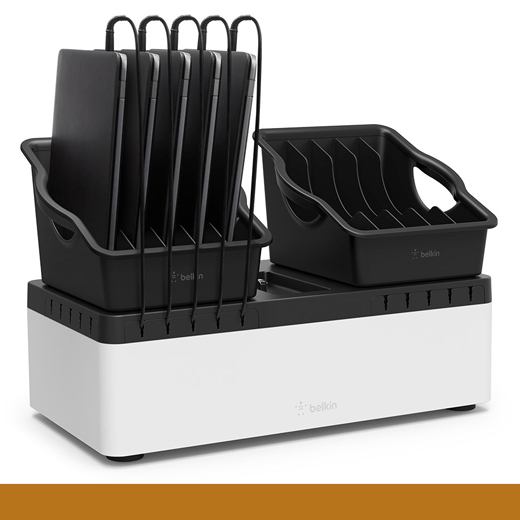 Removable five-compartment bins add quick and easy deployment. Housing all charging cables neatly within the base unit, Store and Charge Go offers a universal storage solution for Chromebook computers, laptops, tablets and more.